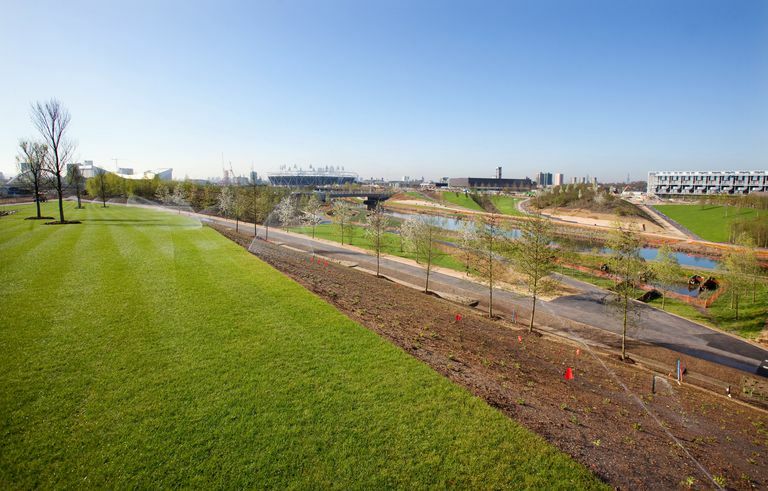 Planning and commitment are how athletes train for gold medals and also how a neglected urban "brownfield" area in London, England was transformed into a green, sustainable Olympic Park. 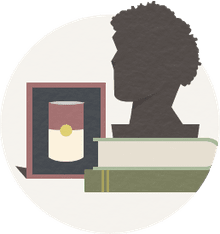 The Olympic Delivery Authority (ODA) was created by British Parliament in March 2006, soon after the United Kingdom was granted the London 2012 summer Olympic Games. Here is a case study of some of the ways that ODA revitalized a brownfield site to deliver Olympic Green in six short years. Industrialized nations have misused the land, poisoning natural resources and making environments uninhabitable. Or are they? Can polluted, contaminated land be reclaimed and made usable again? A brownfield is an area of neglected land that is difficult to develop because of the presence of hazardous substances, pollutants, or contaminants throughout the property. Brownfields are found in every industrial country throughout the world. Expansion, redevelopment, or reuse of a brownfield site is complicated by years of neglect. The U.S. Environmental Protection Agency (EPA) estimates that America has more than 450,000 brownfields. The EPA's Brownfields Program provides financial incentives for states, local communities, and other stakeholders in economic redevelopment to work together to prevent, assess, safely clean up, and sustainably reuse brownfields in the US. Brownfields are often the result of abandoned facilities, often as old as the Industrial Revolution. In the US, these industries are frequently related to the manufacturing of steel, the processing of oil, and the local distribution of gasoline. Before state and federal regulations, small businesses may have dumped sewage, chemicals, and other pollutants directly onto the land. Changing a polluted site into a usable building site involves organization, partnership, and some financial assistance from the government. In the US, the EPA's Brownfields program assists communities with assessment, training, and cleanup through a series of grants and loans. The 2012 London Olympic Summer Games were played in what today is called Queen Elizabeth Olympic Park. Before 2012 it was a London brownfield called Pudding Mill Lane. The 2012 Olympic Park was developed in a "brownfield" area of London — property that had been negelected, unused, and contaminated. Cleaning soil and groundwater onsite is an alternative to transporting contamination offsite. To reclaim the land, many tons of soil were cleaned in a process called "remediation." Machines would wash, sieve, and shake the soil to remove oil, gasoline, tar, cyanide, arsenic, lead, and some low level radioactive material. Groundwater was treated "using innovative techniques, including injecting compounds into the ground, generating oxygen to break down harmful chemicals." "An ecology management plan was developed which included translocation of 4,000 smooth newts, 100 toads and 300 common lizards as well as fish including pikes and eels," according to the Olympic Delivery Authority. In 2007, well before the 2012 London Olympic games, ecology workers began relocating the aquatic life. The fish were stunned when a slight jolt of electricity was applied to the water. They floated to the top of the Pudding Mill River, were captured, and then relocated into a cleaner nearby river. Wildlife relocation is a controversial idea. For example, the Audubon Society of Portland, Oregon opposes relocation, contending that Wildlife Relocation Is Not a Solution . On the other hand, the U.S. Department of Transportation, Federal Highway Administration website Water, Wetlands, and Wildlife provides a central source of information. This "green idea" definitely deserves more study. Building around waterways can be useful and inviting, but only if the area has not become a dumping ground. To prepare the neglected area that became Olympic Park, existing waterways were dredged to remove 30,000 tons of silt, gravel, rubbsh, tires, shopping carts, timber, and at least one automobile. Improved water quality created a more accessible habitat for wildlife. Widening and strengthening river banks mitigated the risk of future flooding. The Olympic Delivery Authority required onsite contractors to use environmentally and socially responsible building materials. For example, only lumber suppliers who could verify that their products were legally harvested as sustainable timber were allowed to source wood for construction. The wide use of concrete was controlled by use of a single onsite source. Instead of individual contractors mixing concrete, a batching plant supplied low-carbon concrete to all contractors on site. A centralized plant ensured that low-carbon concrete would be mixed from secondary or recycled materials, such as by-products from coal power stations and steel manufacture, and recycled glass. To build the 2012 Olympic Park, over 200 buildings were dismantled — but not hauled away. About 97% of this debris was reclaimed and reused in areas for walking and cycling. Bricks, paving stones, cobbles, manhole covers, and tiles were salvaged from the demolition and site clearance. During construction, too, about 90% of the waste was reused or recycled, which saved not only landfill space, but transportation (and carbon emissions) to landfills. The roof truss of London's Olympic Stadium was made out of unwanted gas pipelines. Recycled granite from the dismantled docks was used for the river banks. Recycling concrete has become a more common practice at construction sites. In 2006, the Brookhaven National Laboratory (BNL) estimated a cost savings of over $700,000 by using Recycled Concrete Aggregate (RCA) from the demolition of ten structures. For the London 2012 Olympics, permanent venues such as the Aquatics Centre used recycled concrete for its foundation. About 60% (by weight) of the construction materials for London's Olympic Park were delivered by rail or water. These delivery methods reduced vehicle movement and resulting carbon emissions. Concrete delivery was a concern, so the Olympic Delivery Authority oversaw a single concrete batching plant onsite near the railway — eliminating an estimated 70,000 road vehicle movements. Renewable energy, building self-sufficiency by architectural design, and centralized energy production distributed by underground cabling are all visions of how a community like Olympic Park in 2012 is powered. The Energy Centre provided a quarter of the electricity and all of the hot water and heating to Olympic Park in the summer of 2012. Biomass boilers burn recylced woodchips and gas. Two underground tunnels distribute power throughout the site, replacing 52 electricity towers and 80 miles of overhead cables that were dismantled and recycled. An energy-efficient Combined Cooling Heat & Power (CCHP) plant captured the heat generated as a by-product of electricity production. ODA's original vision was to deliver 20% of the energy by renewable sources, like solar and wind. A proposed wind turbine ultimately was rejected in 2010, so additional solar panels were installed. An estimated 9% of future post-Olympic energy needs will be from renewable sources. However, the Energy Centre itself was designed flexibly to easily add new technologies and adapt to community growth. The Olympic Delivery Authority developed a "no white elephants" policy — everything was to have a future use. Anything built had to have a known use after the summer of 2012. Permanent structures were built only if they could be used later. Temporary venues were built to be relocated or recycled. Existing stadiums and arenas, such as Millennium Stadium in Wales, Wimbledon, and Wembley were used for events. Local landmarks, such as Greenwich Park, Hampton Court Palace, and even Hyde Park served as temporary backdrops for the 2012 summer games. Although relocatable venues may cost as much as permanent sites, designing for the future is part of sustainable development. Use vegetation native to the environment. Researchers, such as Dr. Nigel Dunnett from the University of Sheffield, helped choose sustainable, ecologically-based, biodiverse vegetation suited to an urban environment, including 4,000 trees, 74,000 plants and 60,000 bulbs, and 300,000 wetland plants. New green spaces and wildlife habitats, including ponds, woodlands, and artificial otter holts, revitalized this London brownfield into a more healthful community. Notice the flowering plants on the roof? That's sedam, a vegetation often preferred for green roofs in the Northern Hemisphere. The Ford Dearborn Truck Assembly Plant in Michigan also uses this plant for its roof. Green roofing systems are not only aesthetically pleasing, but provide benefits to energy consumption, waste management, and air quality. Learn more from Green Roof Basics. Seen here is the circular pumping station, which removes waste water from Olympic Park to London's Victorian sewer system. The station transparently displays two bright pink filtration cylinders beneath its green roof. As a link to the past, engineering drawings of Sir Joseph Balzagette's 19th century pumping station decorate the walls. After the Olympics, this small station will continue to serve the community. Waterway barges are used for solid waste removal. Nearly 100% natural ventilation, which isolated the need for air conditioning to only a few rooms. The high ends of the roof allows interior heat to rise and flow out. Because of low flush toilets and rainwater harvesting, 2012 Olympic sports venues generally used an estimated 40% less water than equivalent buildings. For example, the water used to clean the swimming pool filters at the Aquatics Centre was recycled for toilet flushing. Green architecture is not only an idea, but also a design commitment. The Velodrome is said to be "the most energy efficient venue on the Olympic Park" according to Jo Carris of the Olympic Delivery Authority. The Velodrome architecture is thoroughly described in Learning legacy: Lessons learned from the London 2012 Games construction project, published October 2011, ODA 2010/374 (PDF). The sleek building was no white elephant, though. After the Games, the Lee Valley Regional Park Authority took over, and today Lee Valley VeloPark is used by the community in what is now Queen Elizabeth Olympic Park. Now that's recycling! In 2012, legacy was not only important to the Olympic Delivery Authority but a guiding principle for creating a sustainable environment. At the heart of the new post-Olympic community is Chobham Academy. "Sustainability arises organically from the design of Chobham Academy and is embedded within it," say the designers, Allford Hall Monaghan Morris. This all-ages public school, near residential housing once filled with Olympic athletes, is the centerpiece of the planned new urbanism and the brownfield that is now transformed into Queen Elizabeth Olympic Park.